2016 Annual General Meeting (AGM) This Sunday at 5pm! We’re about to have our sixth Annual General Meeting (AGM)! It’s coming up quickly: May 15th, 2015 from 5-8pm at the Public House. 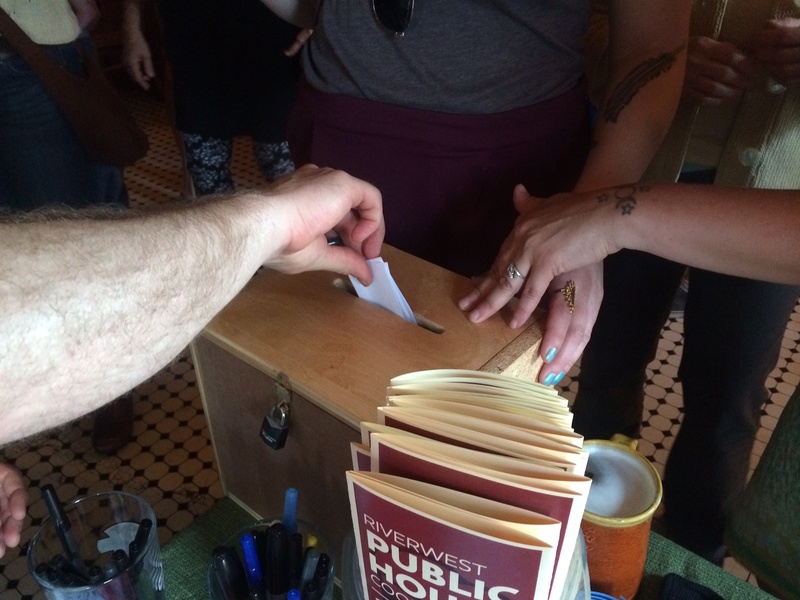 This is the time every year when we reflect on how the Public House is measuring up to its threefold mission: to be a community gathering place; to serve local, organic, and tasty drinks, and to help build the cooperative movement in our neighborhood alongside the Riverwest Cooperative Alliance. At the last couple of AGMs, we’ve encouraged your participation and voice by putting upgreat big sheets of paper on the walls, giving you some nice-smelling Sharpie markers, and letting you go to town. This year will be no different. The “writing on the wall” gets reviewed by the board in the months following the AGM and the Board takes these messages into account. It’s a great way to give feedback to the Public House as a valued member-owner. Although we’re always here to listen if you’ve got a compliment, comment or concern. Most importantly, this date marks the time each year when our members get to elect new members to the Board of Directors. The board of directors is the 9-person body that helps guide the course of the bar through long-term visioning, financial oversight, and governance. This year we have 4 vacancies! That could represent a big change of leadership and a lot of new opportunities and visioning for the bar. Candidate applications are posted! Click here and scroll down. Next: Latin Jazz Dance Party, Ms. Lotus Fankh EP release, Interstellar Reverb with Queen Tut and more! !